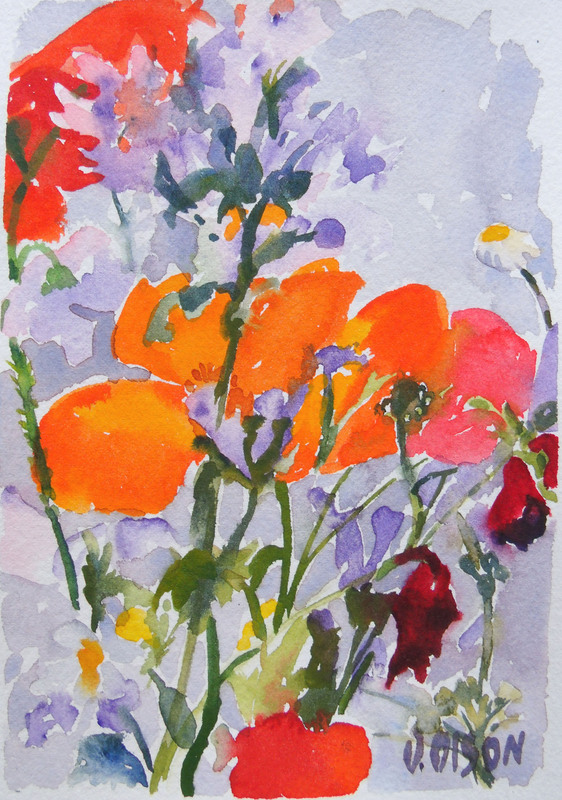 These are three small watercolors 5.5 x 7.5 inches. I started painting this size to send in the mail to friends and family. 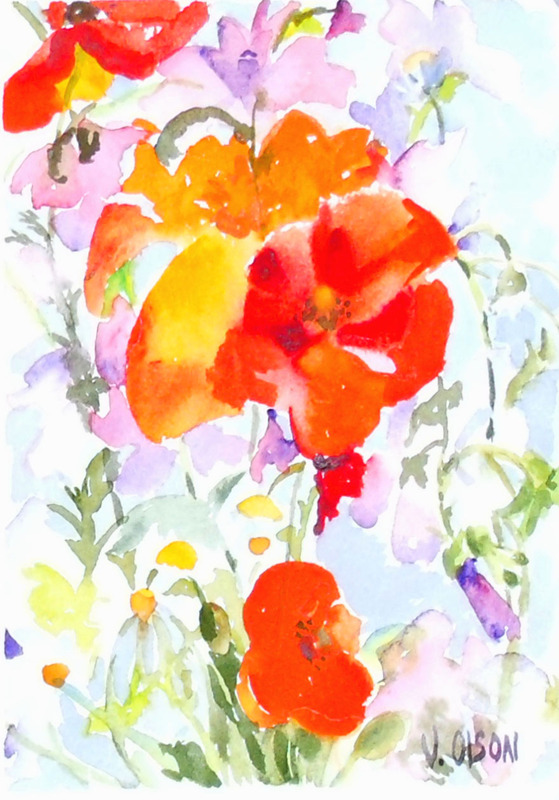 This entry was posted in Fine Art, Poppies, watercolor, Wild Flowers and tagged Spanish Poppies. Bookmark the permalink. Your style is very eye-catching. 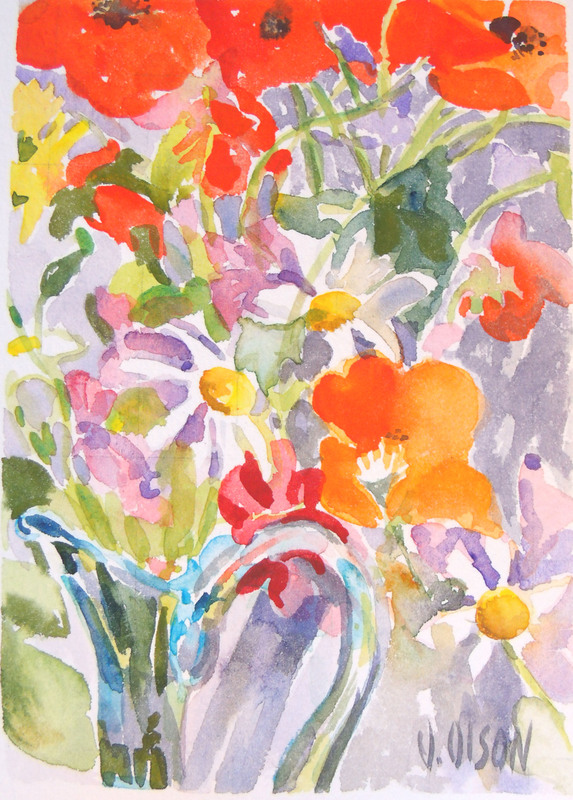 How nice to send these pretty works to friends in the mail – lucky friends, talented you.